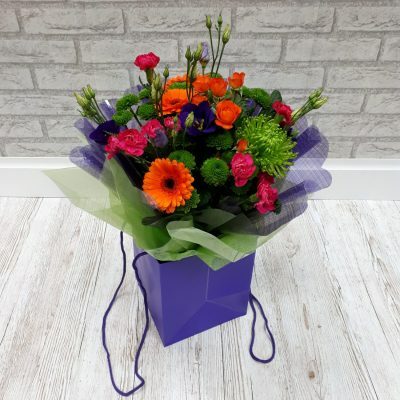 A gorgeous vibrant Aqua Bouquet consisting of a bright seasonal mix of flowers and select foliage. 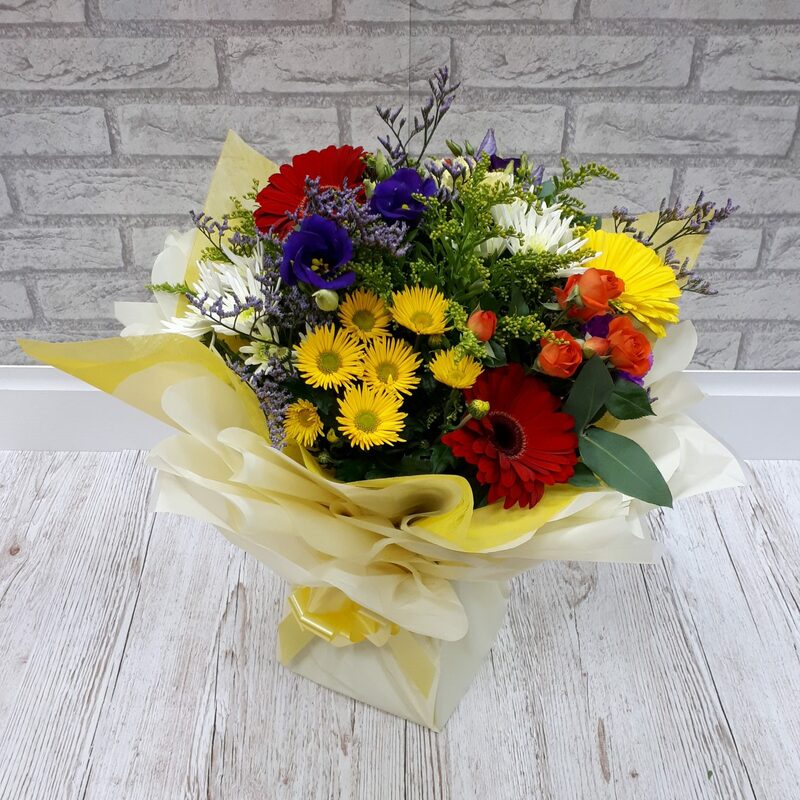 Flowers include, Spray Roses, Gerbera, Golden Rod, Lisianthus and Chrysanthemum. 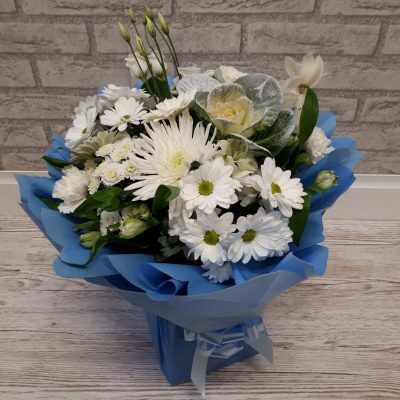 The Bouquet is 21 inches (53cm) in height and 15 inches (38cm) in width. 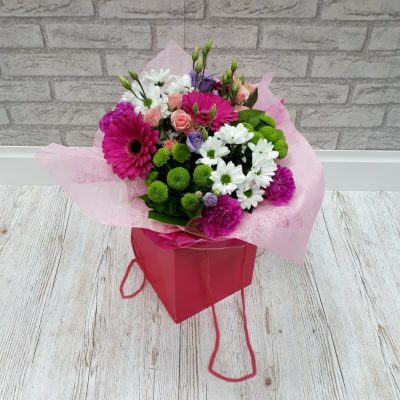 This Bouquet is gift wrapped in a sturdy cellophane covered box, complimented with a bow.